La Trobe University Professor Jacinta Douglas examines how young people with disability end up in aged care, and how we can change these people’s lives for the better. When someone experiences a life-changing health crisis that results in a disability, long-term housing often becomes an issue. Most people want to live at home and in their community. Despite international obligations that stipulate the right of people with disability to live where they choose, more than 6,000 young people with disability live in aged care in Australia. The path into residential aged care for a young person is fraught. As they try to navigate a complex health system they know little about, these young people and their families are often vulnerable, confused and exhausted. Research in Australia, Europe and America has demonstrated that living in aged care as a young person has significant negative consequences. It results in social isolation with little opportunity to be an active member of the community. As well as the social implications, research has shown that young people in aged care are unable to access appropriate rehabilitation and support services and do not have their health and medical needs regularly reviewed. When a young person moves into aged care they can no longer choose how, where and with whom they live. 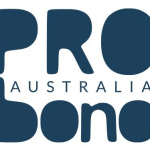 In 2006 the Council of Australian Governments funded and established the Young People in Residential Aged Care (YIPRAC) Program. At the time it helped to reduce the number of young people entering aged care, but it has not led to a sustained, long-term reduction. The National Disability Insurance Scheme (NDIS) presents an excellent opportunity to change this. In order for the NDIS to support people with disability to exercise their right to live in the community, it is important to understand the process that results in a young person entering aged care. So, how do young people end up in aged care? The process of entering aged care as a young person regularly begins with a catastrophic health crisis – such as a stroke, a brain injury or a decline in a pre-existing condition, which dramatically changes their world as they know it. Whatever the circumstances, the significant change in health status results in shock and emotional turmoil. The second phase of the process is when they run out of time in the health setting. When a person is deemed to be medically stable they are pressured to move on, regardless of whether they are well enough or have suitable alternative housing to move into. They can no longer stay in the health setting they are in, but they cannot go home either. Combined with the shock and significant emotional distress is the news that their “time is up”. Not only have they not had time to process the trauma of their new health status, they are not given the time to assess what are the most appropriate next steps. While still reeling from the shock of the dramatic change to their circumstances, people with disability and their families are being forced to make decisions about their future. They are not being given the time to process the changes, the implications and the options that may be available. This time factor is further complicated by a lack of knowledge. The ability to understand the information that is provided is compromised by being overwhelmed, exhausted and vulnerable. At this point in their journey people need support to investigate what their options are, and be given sufficient time to make an informed decision. When you look at the typical story so far, it is no surprise that young people are ending up in aged care. They’ve suffered a health crisis that has literally turned their world upside down. They’ve been told that they can no longer live where they used to live, but are facing considerable pressure to move out of hospital or rehabilitation. They are trying to come to terms with what is their “new normal”, while navigating a landscape that is completely foreign to them. People in this situation have reported facing three major issues – no time, no knowledge and no choice. The time factor has several dimensions: the speed of the onset of the health crisis and the time pressure to prove themselves, before being shuffled off to aged care. There is also pressure to make a decision quickly about living arrangements. Not having enough time to make a sufficient recovery is also a barrier to avoiding aged care. “No knowledge” is defined by the difficulty accessing information and problems absorbing information that is provided. “No choice” is characterised as a lack of viable alternatives to aged care. With no other options to consider, people are forced in to aged care. Many seek further rehabilitation; they want and need more time to recover, but are all too often told that their “time’s up”. When it comes to making a decision about long-term living arrangements, people with acquired disability and their families feel disempowered by the complexities of our health and disability systems. There is a gap in the provision of practical support, emotional support and information during this period of great uncertainty. There is a case for formal, independent advocacy, as it has the potential to assist individuals and their families navigate the complex intersection of healthcare, aged care and disability care. Research findings support the critical role of advocacy in providing greater autonomy and empowerment to people with disability and their families. While funding for this sort of service is uncertain, as a minimum, people require comprehensive and easy-to-access written information from the time of injury. Delivering information verbally and ad hoc is known to increase confusion and distress for individuals and families. Access to extended rehabilitation programs and services would reduce the time issue by removing the sense of urgency and the pressure of a quick recovery. Research shows that individuals with severe acquired brain injury can benefit from specialist inpatient rehabilitation, but require longer and more intensive programs. Rehabilitation services designed specifically to meet the needs of young people with acquired disability have been shown to significantly improve long-term health outcomes. More time to take part in specialised rehabilitation programs would enable individuals to maximise their recovery, which in turn opens up a range of housing options beyond aged care. For those young people that do live in aged care, there needs to be more opportunities to be reassessed for rehabilitation and community living. An absence of reliable opportunities for review can heighten the emotional distress that a young person living in aged care may experience. 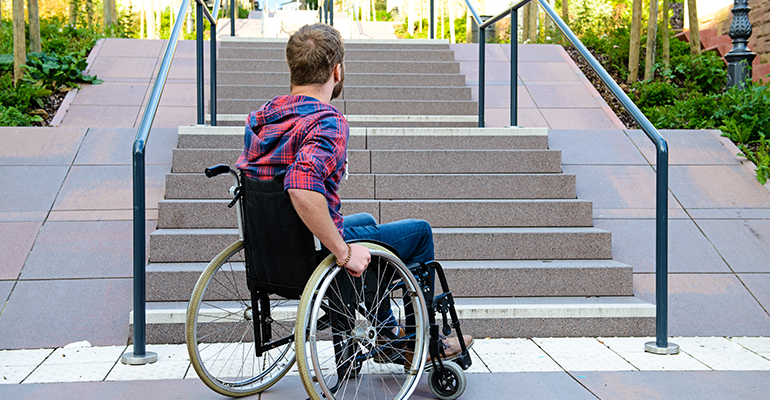 The disconnection between disability and housing policy is also widely acknowledged and has contributed to a lack of suitable long-term housing options for young people with disability. Importantly, the current option of aged care does not have the potential to improve health, wellbeing and participation in life. Policy change needs to encompass a range of alternatives that not only provide suitable accessible housing and support, but also work towards improving overall health and wellbeing. About the Author: Professor Jacinta Douglas is professor of acquired brain injury at La Trobe University. Together with Dr Lucy Knox and Dr Sandra Barry, she has co-authored a recent paper entitled “Time’s Up: The Experience of Entering Residential Aged Care for Young People with Acquired Neurological Disorders and Their Families”. In Queensland many young people were forced into aged care because they were deemed not to have a disability under the Disability Services Act and therefore ineligble for any care i.e. those with chronic illness. This was the case when my sister (in her 50s and by NO means ‘old’) was diagnosed with Motor Neurone Disease (MND). As she has the worst type of MND – Bulbar, her condition deteriorated quickly and after less than 2 years she was no longer able to live at home, or care for herself. As there are no facilities to care for MND patients, apart from a truly terrible ‘ward’ at the Bethlehem hospital in Elwood, we were forced to find suitable accommodation in an Aged Care facility. After touring several, in which we were disappointed to find limited to no knowledge of MND; we settled on ‘ARCARE’ in Wantirna as it was opposite the shopping centre (thinking we’d be able to take her there for shopping, movies, etc…. Staff were keen and have been very supportive of ‘learning’ how to care for her. Although she is virtuously now ‘room and bed bound’, it is a pleasant environment and well laid out; having separate social and dining area for each floor, rather than everyone congregating in one area. It has to be said though, we have been shocked with the lack of knowledge of staff and management of diagnosis including MND, MS etc; and feel this is a particularly neglected area of care.